Welcome to the Days Inn Orlando Downtown located in beautiful Orlando, FL. Our mission is to provide you with the most comfortable stay while on vacation or business in the Central Florida area. We are conveniently located immediately off I-4 and Orange Blossom Trail 441 Exit 80 West Bound and 80A East Bound. 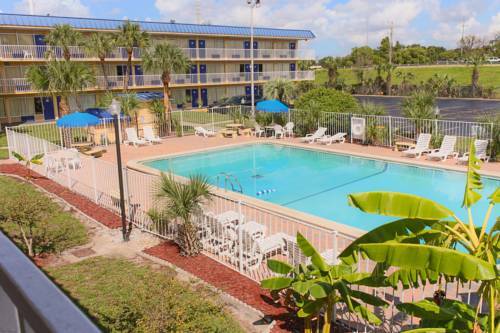 Days Inn Orlando Downtown location allows easy access to everything to see and do in Orlando. Our Days Inn is just a short drive Orlando downtowns entertainment venues such as Amway Arena - home of Orlando Magic, and Bob Carr Theatre, 5 miles from Universal Studios, Sea World Orlando and 14 miles from Walt Disney World Theme Parks. Days Inn Orlando Downtown is 6 miles from Orlando Executive Airport, just minutes to great shopping, many restaurants and nightclubs. We are 12 miles from Orlando International Airport and 9 miles to the Orange County Convention Center, Daytona 500 is 49 miles away, and a short drive to the Citrus Bowl, home of the Capital One Bowl, Champs Bowl, and the Florida Classic. Also close to Downtown Orlando, The Amway Arena, Universal Studios. The Days Inn Orlando Downtown offers Continental Breakfast, Wireless Internet, Beautifully appointed and well kept rooms with either two doubles or King bed. Please look under Hotel Features for further information. Hotel Surcharge 2.00 Dollars Per Day. Pets Allowed, 1 per room, maximum 25 pounds, 15.00 USD Per Day Non Refundable Fee. Microwaves available for 5.00 USD fee per day.